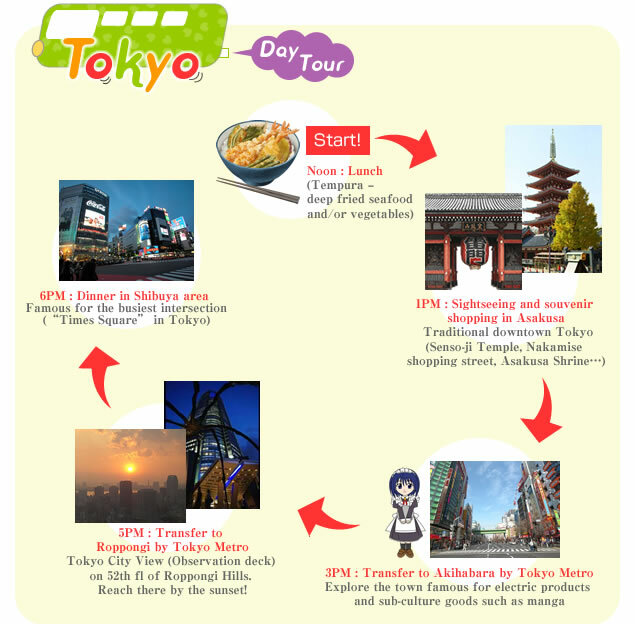 Some of the popular itineraries from my past tours. Of course, everything is fully customizable according to your interest/preference! Contact me to discuss further. - Meiji Shrine : A shrine surrounded by beautiful forest in central Tokyo. *famous teenager shopping area “Harajuku” is just nearby. - Hamarikyu : Japanese style garden located by the river. Once was Shogun’s villa. - Mt.Takao : Beautiful hiking trails. A famous Yakuoin temple in the mountain. Has three stars from Michelin. 1hr by train from downtown Tokyo. Kamakura - approx. 1hr from Tokyo by train. Old capital city. Lots of beautiful temples & shirines, especially the great Buddha is famous. Pretty shopping area, cafe & restaurants as well. Some nice beaches, too (the city is along the sea). Nikko - approx. 2.5hrs from Tokyo by train. The mountainous area where you can enjoy the landscapes, lakes, waterfalls, hot springs and hiking trails etc. Tosho-gu shirine is famous for its lavishly decorated structures. Your trip to other cities in Japan can also be organized by me and my great network of fellow guides based in most major cities such as Kyoto, Osaka and Hiroshima.